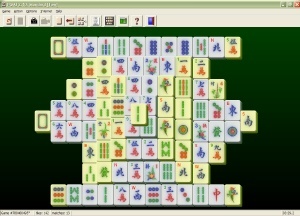 Play Solitaire and Puzzle Games with MahJongg Tiles! Be prepared for hours of fun with Pretty Good MahJongg, the premiere collection of MahJongg solitaire games. 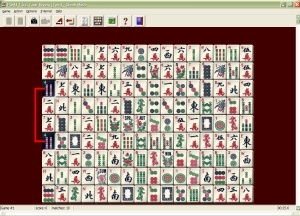 With Pretty Good MahJongg you can play all kinds of different solitaire and puzzle games with MahJongg tiles. 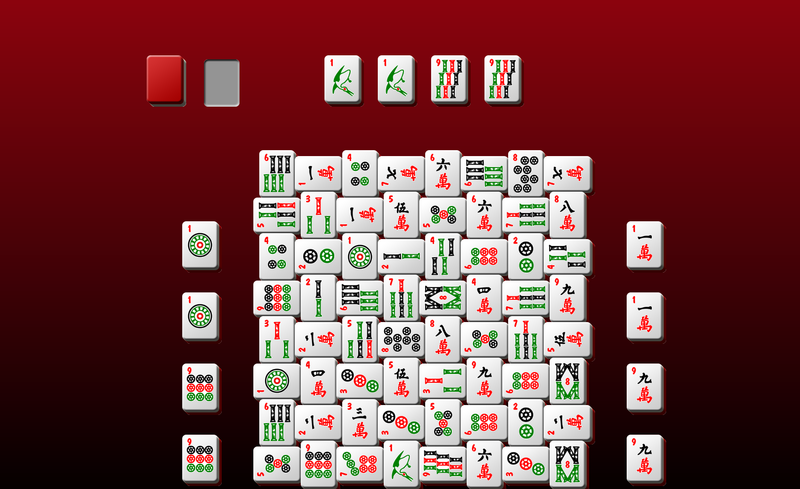 Play the classic MahJongg tile matching solitaire game, where tiles are removed in pairs. 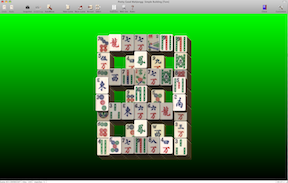 Pretty Good MahJongg has 345 different tile matching game layouts, from simple and easy layouts to difficult challenges. Pretty Good MahJongg makes it easy to play with adjustable color highlighting and right click hints. 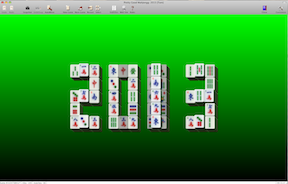 Play solitaire with MahJongg tiles! 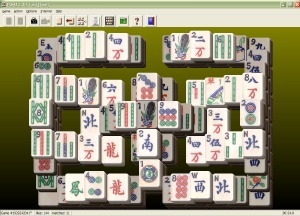 Play the tile matching MahJongg solitaire game and classic others like Shisen-Sho, MahJongg Stones, and Great Wall. 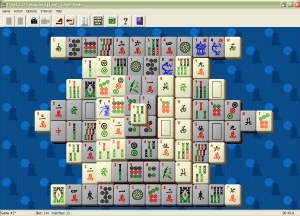 Play original games found nowhere else, like MahJongg FreeCell, MahJongg Spider, Crazy Quilt, and more! 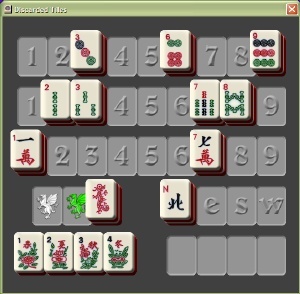 Tile Matching is the classic MahJongg solitaire game. 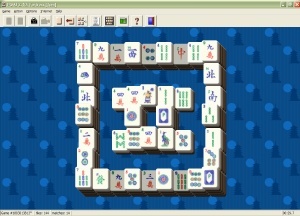 The game begins with a layout of MahJongg tiles. The objective is to remove the tiles in pairs until you remove them all. You pair identical tiles that have a long side edge free. 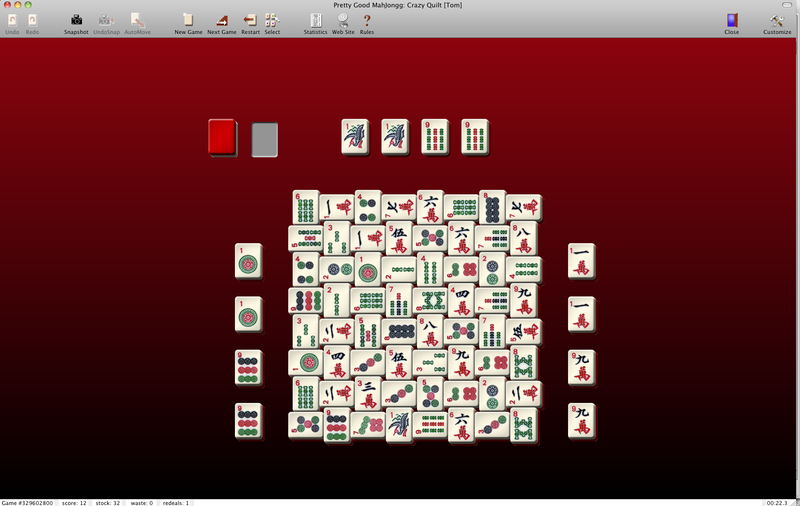 Pretty Good MahJongg features 320 different tile matching layouts. Tile Matching is simple but addicting. 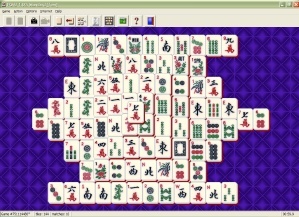 MahJongg FreeCell is an original game similar to the playing card game FreeCell. 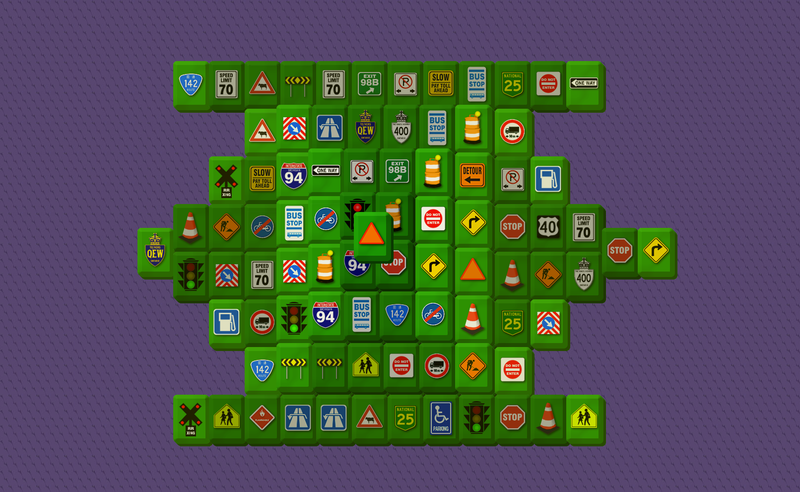 It begins with all the tiles visible and has 4 cells for tiles. 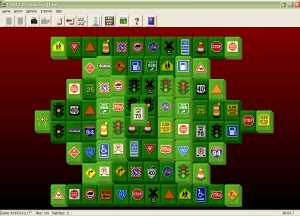 The objective is to clear the layout by building all the tiles up. Like playing card FreeCell, it can almost always be won, but it may well be difficult. 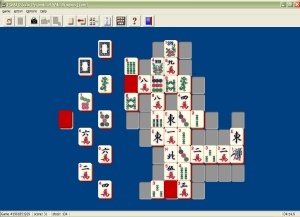 In addition to MahJongg FreeCell, Pretty Good MahJongg contains Long FreeCell, a harder variation with more tiles, and the variations Sea Towers, Sea Breeze, Sea Level, and Sea Cell. 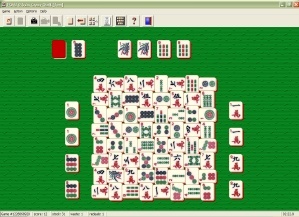 MahJongg Spider is an original game based on the solitaire card game Spider. 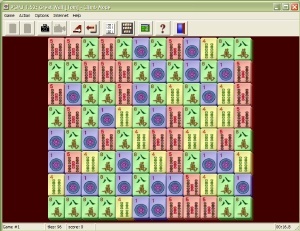 MahJongg Spider is easier than playing card Spider because there are only three suits instead of four and there are more copies of each tile. Nevertheless MahJongg Spider is a challenging and interesting game that is sure to become a favorite. 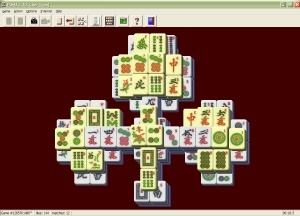 In addition to MahJongg Spider, Pretty Good MahJongg contains two Spider variations, Short Spider and Long Spider, with different numbers of tiles to make the game easier and harder. 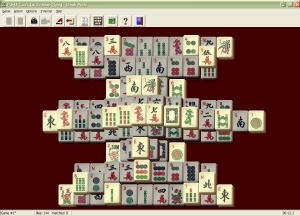 MahJongg Klondike is an original version of the classic Klondike playing card solitaire game for MahJongg tiles. 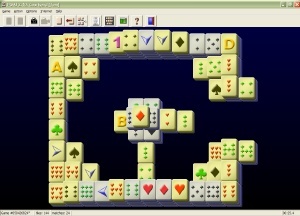 This exciting game adds extra strategy to the basic solitaire game because there are more tiles and suit combinations. 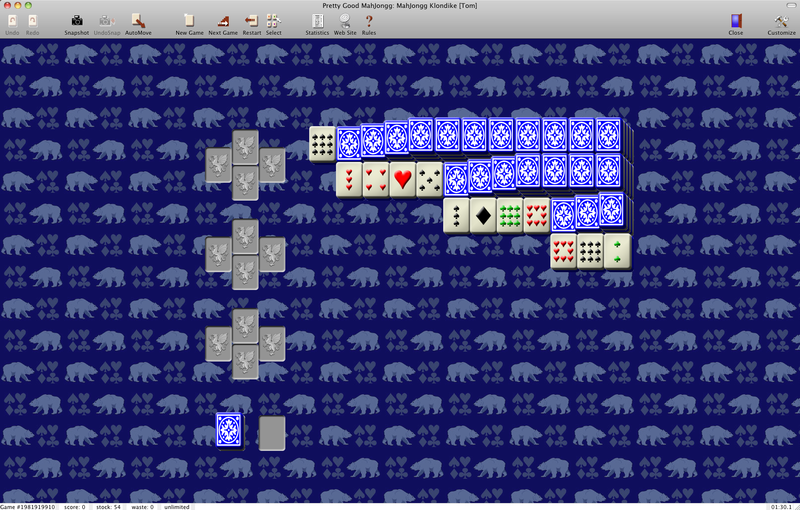 If you like regular solitaire, you'll love MahJongg Klondike. In addition to MahJongg Klondike, Pretty Good MahJongg contains Strict Klondike , Klondike Deal Three, Klondike Gold Rush, Loose Klondike, Free Klondike, and Long Klondike, games with variations on the rules of Klondike. 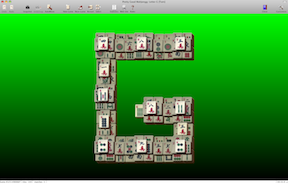 MahJongg Gaps is an original game similar to the playing card game Gaps. 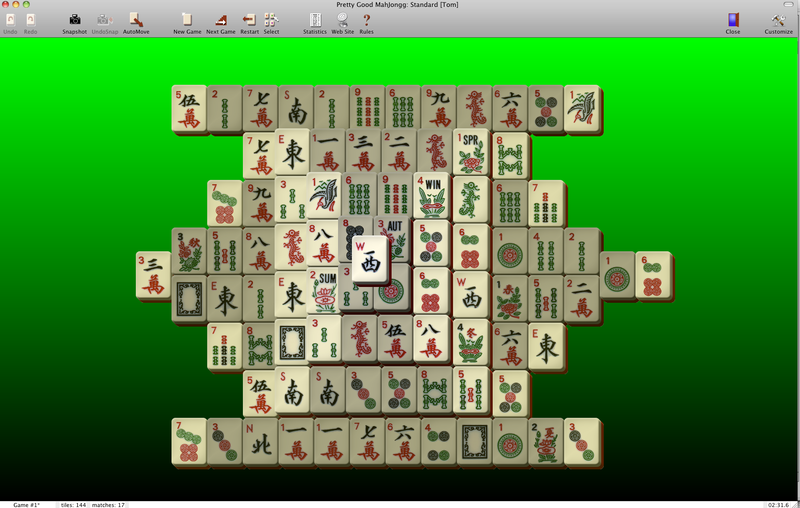 MahJongg Gaps is more strategic than playing card Gaps (also known as Montana) because the tile version offers two possible plays for each tile instead of the one play for each card. 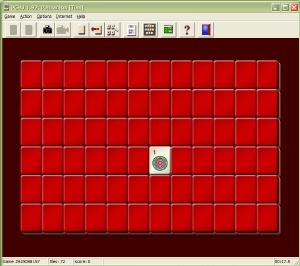 The objective is to line all the tiles up in order in rows. In addtion to MahJongg Gaps, Pretty Good MahJongg contains MahJongg Montana, Simple Gaps, Valet Parking, Free Parking, Slide Gaps, and Compulsive Gaps. 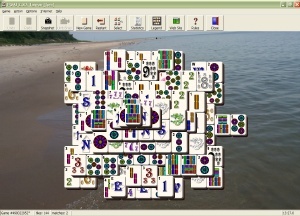 Crazy Quilt is classic playing card solitaire game adapted to MahJongg tiles. It's an easy but fun game with a wild layout of tiles. 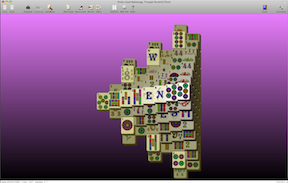 In addition to Crazy Quilt, Pretty Good MahJongg contains Indian Carpet, Japanese Rug, and Car Park, games with variations on the rules of Crazy Quilt. 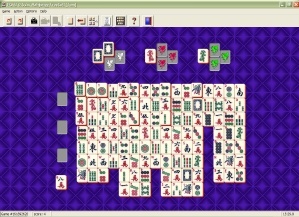 Pyramid of Wild Dragons is an original game that is Tile Matching turned upside down. 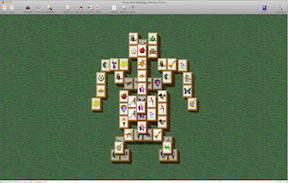 Instead of eliminating tiles from a layout, you try to build all of the tiles into a Pyramid. Tiles can only be placed next to certain other tiles and there is little room for error. 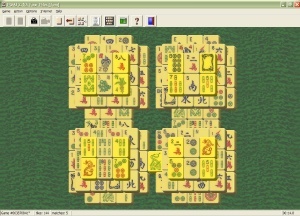 In addition to Pyramid of Wild Dragons, Pretty Good MahJongg contains Pyramid Complete, Continuous Pyramid, and Easy Pyramid, games with variations on the rules. Pelmanism is the classic game of memory and concentration. 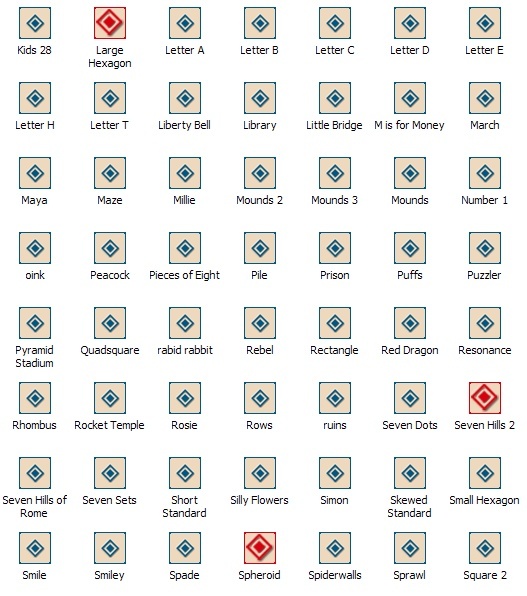 Turn over the tiles and try to remember where the matches are! In addition to Pelmanism, Pretty Good MahJongg contains Big Pelmanism, Small Pelmanism, and Pelmanism Pairs. 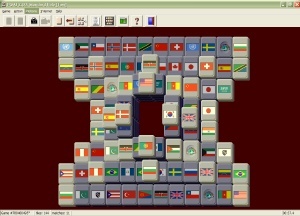 Great Wall is puzzle game where you remove adjacent like tiles and the wall falls down. 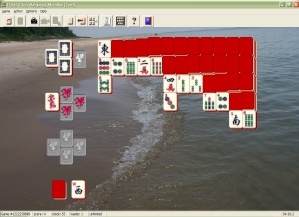 In addition to Great Wall, Pretty Good MahJongg contains Hard Wall, Easy Wall, Waterfall, Cumberland, and Wall Pairs. 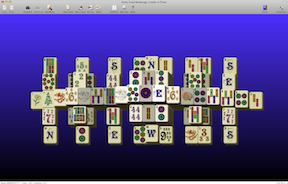 Four Rivers is a classic MahJongg solitaire game. Remove pairs of tiles that can be connected by a line with no more than two right angle turns. In addition to Four Rivers, Pretty Good MahJongg contains Shisen-Sho, Two Rivers, Four Square, River Deep, Three Deep, and Four Deep. Small Pelmanism, and Pelmanism Pairs. 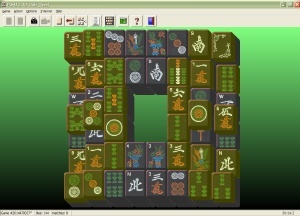 MahJongg Stones is puzzle game where you try to play all of the tiles to the layout. In addition to MahJongg Stones, Pretty Good MahJongg contains Loose Stones, Free Stones, Throwing Stones, Small Stones, and Tiny Pebbles. 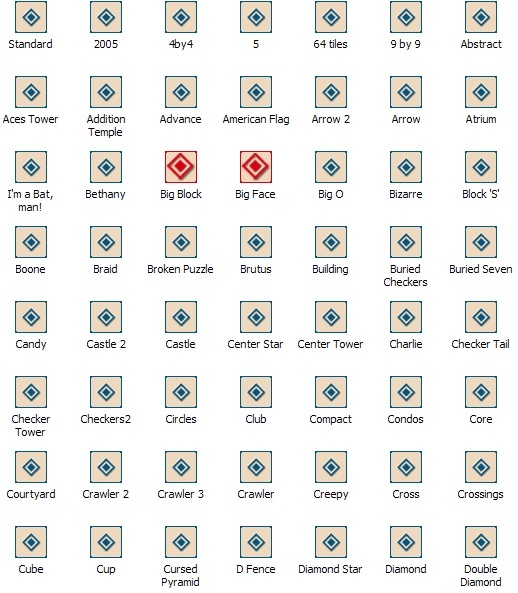 345 different tile matching layouts. What is tile matching? 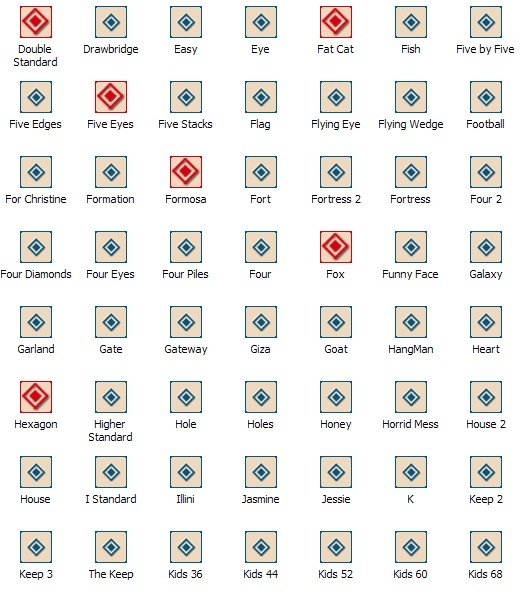 55 different solitaire and puzzle games. 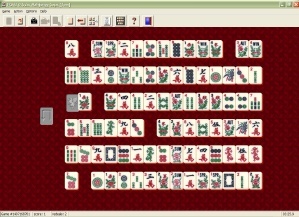 What are the original solitaire games in Pretty Good MahJongg? Undo all your moves and redo of all moves undone. 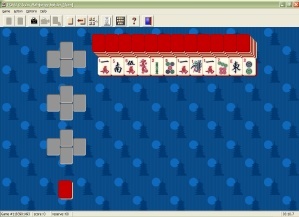 3 different tile sets included in main download - American MahJongg tiles, Marine Flag tiles, and Simple tiles. What are MahJongg tiles? 5 different tile sizes. Automatically finds the best size for your screen. Over a dozen more tile sets available for download. Selectable background colors or images for each game. 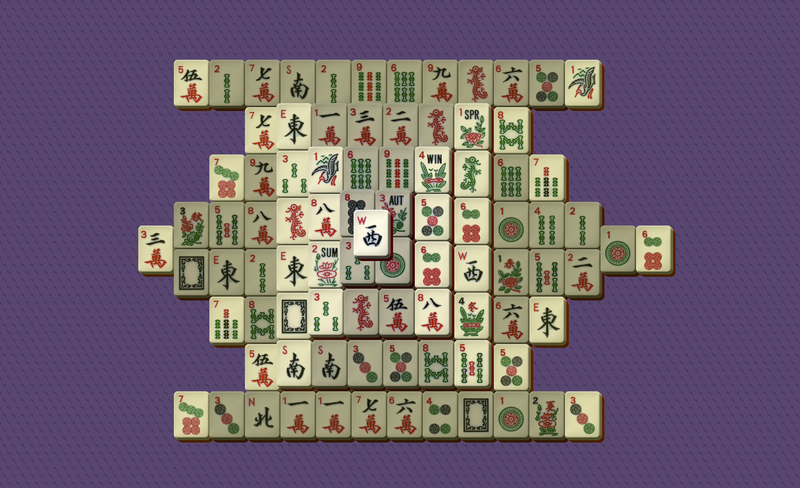 Now includes the Pretty Good MahJongg Screen Saver, a screensaver with the game winning animation of tiles (Windows only). Climb Mode - Play games in sequence to get the best score. Submit Scores to Web - submit your scores and get listed on the Top Scores site (full version only). Play Great Wall, a fun new game where you remove identical adjacent tiles and the tiles collapse down. 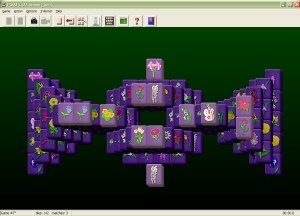 Play Four Rivers, a classic MahJongg tiles puzzle game. 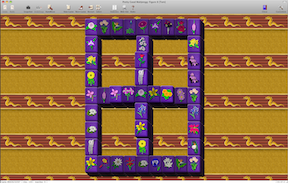 Play MahJongg Stones, a puzzle game. 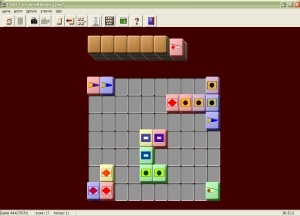 Layout Editor - You can create your own tile matching layouts using the layout editor (full version only). 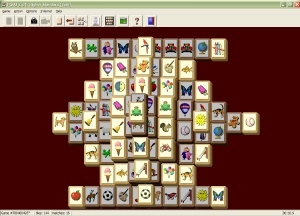 Show Discarded Tiles Window - In tile matching games, now you can see the tiles you have discarded in a new window. 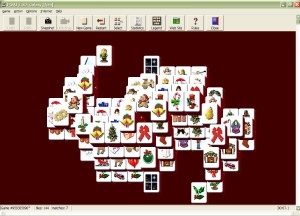 Multiple Undo Window - In tile matching games, you can undo back to any point in the game using the multiple undo window. Ordering Pretty Good MahJongg is risk free! Our order pages are on a secure server. Feel secure in ordering from an established company that's been doing business on the internet since 1995. The games are only a one time fee of US$24.95. We offer an unconditional 30-day money-back guarantee! If for any reason you are not satisfied, you can return Pretty Good MahJongg for a full refund. 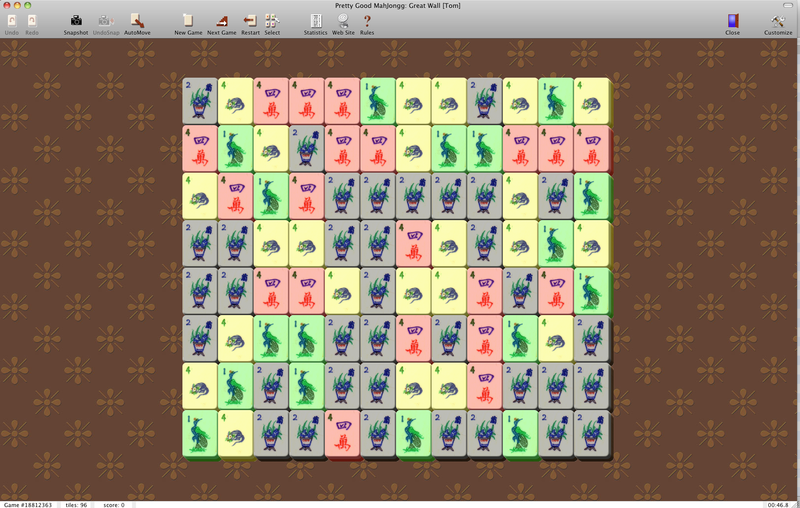 Create your own tile matching layouts! 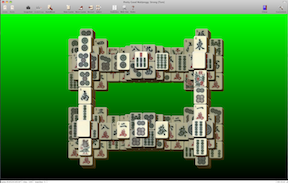 Pretty Good MahJongg has a tile matching layout editor (full version only). 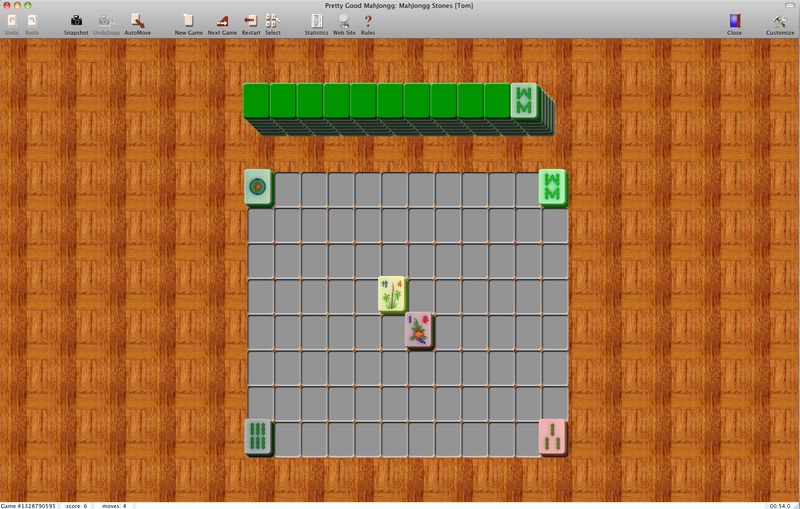 You can create your own tile matching layouts in the layout editor. If you create a good layout, send it to us (the .layout file) by email to [email protected] and we will post it here! 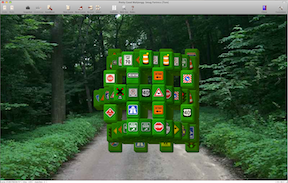 All of the layouts below are included in version 2.60 for Windows, they are not included in version 2.41 for Mac (current version). 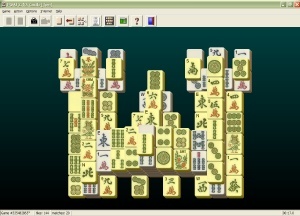 Place the .layout files in the Windows C:\Program Files\Pretty Good MahJongg 2\layouts folder or Mac [User]/Library/Pretty Good MahJongg folder. Run the game. 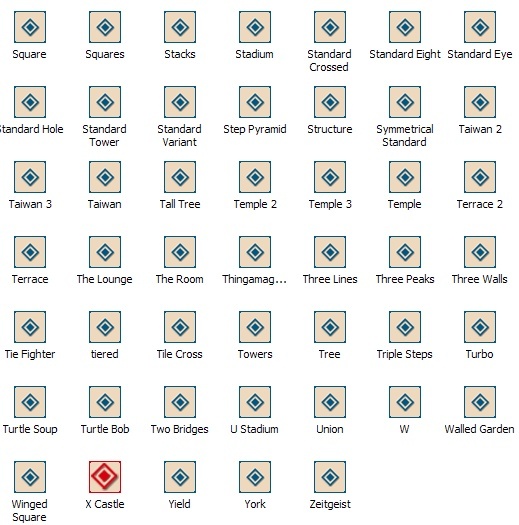 The new layouts will be at the bottom of the games list. Windows Run the downloaded file. Mac Download and unzip the file. 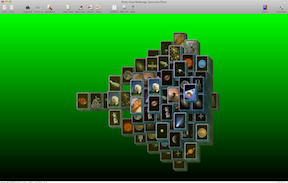 Double click on the .tiles file in Finder. 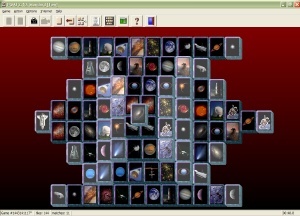 The game will start and install the tile set. 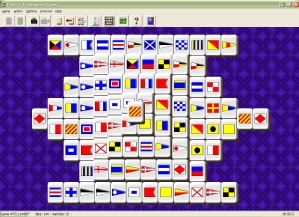 Note that some tile sets work only in Tile Matching games.